Having the right hand bag can make all the difference. Get your GO! Baby cutter it's own cute and smartly organized GO! 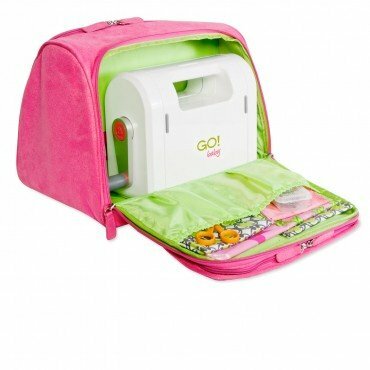 Baby Fabric Cutter Tote. 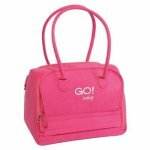 Made of superior-quality fabric, this hot pink on the outside and pistachio green on the inside tote will protect your GO! Baby and make it portable. Roomy interior features multiple accessory pockets to store dies, notions, fabric and more. Measures 14"L x 8 3/4"W x 9 3/4"H (35.6 cm x 22.2 cm x 24.8 cm). Available in GO! pink faux suede.